The Canada Revenue Agency (CRA) has announced on their website that there are changes coming to the RC59 Business Consent form. This form is completed by a taxpayer who has business accounts or by businesses who wish to have a representative contact the CRA on their behalf. Without having this form signed and dated, the CRA will not speak to the representative. These changes are expected to be law in May of 2017. These laws apply to representatives who use the RC59, Business Consent, to get online access to their business clients’ information in Represent a Client. After May 15, to request online access to tax information for a business, you will need to complete the authorization request in Represent a Client. Form RC59 will no longer be used to authorize online access. When you use Represent a Client, you’ll have access to your business clients’ information in five days or less instead of the 15 days it takes today with form RC59. What if I don’t use Represent a Client? If you still prefer your current process, you can still use form RC59 to request access to your business clients’ information by telephone or mail. Back from vacation and catching up! How we can help – details included. Just wanted to drop a quick note to all of you who called, emailed and hit me up on the blog or on social media that we’re back to work and trying to get to everyone as soon as possible. If anyone has an urgent matter, please send an email to info@intaxicating.ca, in the subject line, please write “urgent” and that will be the top priority. For new readers of this blog or who are seeing this blog through our website, here is what you need to know! inTAXicating is a Canadian tax consulting business which provides solutions to Canadian Tax problems predominantly related to the Canada Revenue Agency (CRA), but not limited to the CRA. With over 20-years experience in Canadian Tax (throw in some IRS tax, FATCA, Revenu Quebec, Cross-border matters and WSIB) combined with over 10-years working in the CRA in their collections division, you have the experience and expertise that no-one else can boast to have. Our model is simple! Give you the truth based on the facts. You get a free consultation and if it is determined that you can handle it best, or if your questions are quickly answered, then you are on your way. It’s your taxes and you need to know what is being done and how to properly handle them going forward. There are no magical cures for tax problems which took years and years to grow, so if anyone promises you a magic bullet, proceed with caution. inTAXicating also believes that everyone who earns money needs to pay their taxes, however, they should pay what they owe, and in circumstances where there is no ability to pay, the government should understand that and give you a break. No questions are bad questions. I do not believe in the “natural person” being exempt from taxes because the CRA does not believe it, but I have spoken to many, many “de-taxers” and enjoy the conversations and helping them through the CRA’s prosecutions. We specialize in all matters relating to CRA collections, specifically Directors Liability, Taxpayers Relief, s160 assessments, liens, and garnishments, RTP’s. We provide audit representation, accounting (through a CA), as well as presenting the options to solve all tax matters including the ugliest and most complex tax matters. The messier the better! In short, we want to help. Engagement – either hourly @ $250/hour or a fixed fee depending on the complexity and amount of work involved. Accounting – best rates possible also related to the amount of work involved. We try to stick to this model as best as humanly possible because it’s your money and you work hard for it, so you should not have to throw it away. Author Warren OrlansPosted on September 7, 2016 September 7, 2016 Categories Canada Revenue Agency, CRA, Revenue Canada, RST, TaxationTags answers, arrears, audit, business, Canada, Canadian, consulting, CRA, Debt, director's liability, experts, Garnishment, help, intaxicating, problem, Revenue, RTP, s160, solution, tax, toronto, truthLeave a comment on Back from vacation and catching up! How we can help – details included. 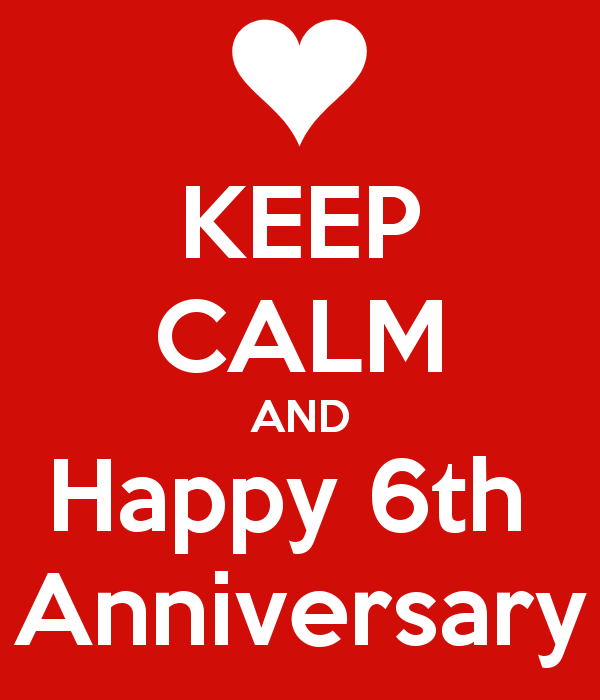 inTAXicating Is 6-Years-Old! Happy Anniversary. Let’s Share Links! I received a surprising message from WordPress on Sunday, September 21st that this blog, inTAXicating,has celebrated it’s 6th anniversary! That means it has been 6-years since I have been posting suggestions, tips, and recommendations surrounding the ins and outs of the Canada Revenue Agency (CRA), the IRS, Revenu Quebec and the WSIB. I have written about these government organizations based on my practical work experience at the CRA and in private industry working closely with all of them. I have posted some great stories and have so many more to come! Compliance, Collections, Cross-Border issues, FATCA, Assessments, Liens, Director’s Liability, Audits, Negotiations, Accounting… I’ve done it all, and I’ve shared a lot of inside information that no one else hears about, or knows about. Having all of this knowledge and wanting to share it is the driving reason behind maintaining this blog, and opening up a tax solutions business at www.intaxicating.ca. I am also always looking for great Canadian tax content to read and discuss, so if you are a tax blogger, or if you have a different go-to site for Canadian tax information, please either post a comment on this post, or send me an email at info@intaxicating.ca and I will add the site to my blogroll. The more Canadian tax information we can get together as a community, means we can help Canadian taxpayers that much better! Author Warren OrlansPosted on October 2, 2014 November 2, 2014 Categories Canada Revenue Agency, FATCA, IRS, MRQ, TaxationTags assistance, bank, business, Canada, Canadian, CRA, Debt, help, intaxicating, IRS, Lien, MRQ, Revenue, RTP, services, Solutions, T1, T2, T4, tax, Warren Orlans, WSIB1 Comment on inTAXicating Is 6-Years-Old! Happy Anniversary. Let’s Share Links! I had a nice long conversation with a client the other day regarding the potential that either the Canada Revenue Agency (CRA) or the Provincial government (in Ontario) were going to pursue a Director’s Liability assessment against him for the debts of his now-deceased corporation. Part of the discussion surrounded how the Canada Revenue Agency and the former Ontario Retail Sales Tax (RST) group handled assessments, and the criteria they used when reviewing whether or not to pierce the corporate shield, plus the importance of a due diligence defense. Director’s Liability Section from the Income Tax Act and Excise Tax Act. During my employment at the Canada Revenue Agency (CRA), I felt I needed to gain a more thorough understanding of Director’s Liability and figure out why there were so few assessments raised in our office compared to other offices. I personally had not raised any Director’s Liability assessments mainly because I was effective on the phone and combined with meetings, was able to resolve many debts prior to the assessment stage. Still, Senior Management encourage the Collections staff to utilize this collection tool more, so as the Resource and Complex Case Officer, I asked for, and was given, the Director’s Liability inventory to control. By controlling the Director’s Liability inventory, that meant I needed to know the ins and outs of Director’s Liability – section 227.1 of the Income Tax Act and section 323 of the Excise Tax Act, because if anyone in our office wanted to raise an assessment, I would have to review their account, ensure all of the much-needed grunt work had been completed, then ensure they had spoken to the Director(s), given them sufficient notice, provided them time for a Due Diligence Defense, at which point I could sign off and begin to track the file. After organizing that inventory and rolling out the new procedures, I began to scour the accounts in our office for potential Director’s Liability assessments, then, in addition to my other inventories, provide recommendations and suggestions to the staff on how to proceed if I felt there was a possibility for an assessment. Management decided instead of burdening the staff, I should just take those accounts I felt were ready for Director’s Liability assessments and work them, plus all of the other accounts I was tracking where assessments were raised too. It was a fair amount of work, but more importantly, it was very enlightening, to review the government’s policies on Director’s Liabilities plus review the procedures in place, compare that to how other office’s handled their files and really tighten up the process. If an account was a sure-fire Director’s Liability assessment, it was raised, and if there was no chance, or not the right time, the file was returned to active collections. I found the first common misconception around Director’s Liability was that the issuance of the Director’s Liability Pre-Assessment Proposal Letter (which notifies director’s that we are reviewing them for Director’s Liability) was being used as just another letter by the Collections staff to remind directors of their obligations, when in fact the CRA intended on using this letter to notify Directors’ that an assessment was beginning. Internally, the Canada Revenue Agency was actually starting to investigate the personal ability to pay of the director(s) at the time this letter was issued. Going forward, that letter was not to be used lightly, and it was not to be sent to the Director(s) numerous times. A Director would then have the assessment raised against them and wonder why it was raised this time, and not earlier when one of those letters went out, so in order to prevent a possible loss in Tax Court, the decision was made to send it once, and then follow-up with the Due Diligence defense letter before raising the assessment. Ignoring the Due Diligence defense letter (which happens often) meant the one opportunity a Director had to start their case on the record was lost, and with the CRA building their case in the permanent diary, the Director(s) stood little chance of preventing the Canada Revenue Agency from raising the Director’s Liability. From the Director’s point of view, either the assessment is raised and they receive a letter from the CRA stating that, or the assessment is raised and the letter gets lost in the mail (tossed out), or the assessment is raised and before the Director is notified, their personal assets come under fire. There is of course, the possibility that nothing happens and the Director(s) are left in limbo, but without having a dialogue with the CRA, or experience around the policies and procedures, there is no way that the Director(s) will know when and if the CRA is coming – if at all. Once raised, the Director(s) have quite limited options. A recent court case, which I will highlight below demonstrates a situation where an assessment was raised, and in Tax Court, the decision was turned over and the assessment cancelled. I guarantee it won’t happen again, as the CRA will ensure their processes are tightened even more to close this loophole. The case was Bekesinski V The Queen. The link to the case on the website for the Tax Court of Canada, is here. In this case, Bekesinski was the Director of a corporation who was personally assessed by the Minister of National Revenue (CRA) in the amount $477,546.08 for the corporation’s unremitted income tax (T2) and employer contributions of CPP and EI for payroll (source deductions) plus penalties and interest for the 2001, 2002 and 2003 fiscal years. 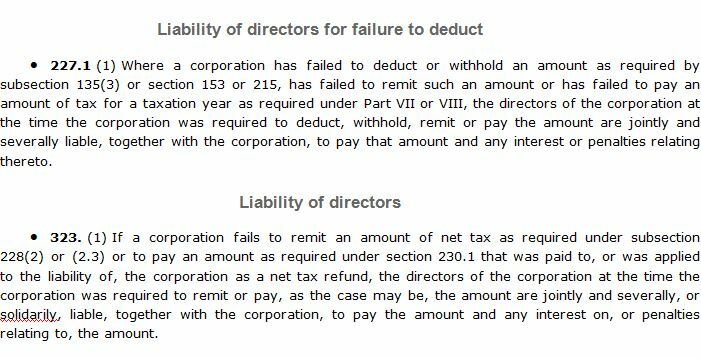 Under Director’s Liability, the CRA can assess directors for payroll and for GST/HST, but not Corporate Tax liabilities. The Tax Court of Canada held that since the taxpayer had resigned as a director of the corporation more than two years after the CRA’s assessment, the CRA was statue barred from raising the Director’s Liability assessment. This was something the CRA should have known before raising the assessment and something that the director (or his representatives) should have mentioned at any point during the pre-assessment proposal period, especially at the due diligence defense stage, but was never mentioned. In 1992 the taxpayer purchased D.W. Stewart Cartage Ltd., a general cartage, trucking and warehousing company where he served as a Director of the corporation. When the corporation fell behind on filing obligations and as the balance owing to the CRA began to grow, the Director began to receive numerous letters from the CRA warning him that he could be held personally liable for the corporation’s tax debts as a Director of the corporation. He did not notify the CRA at any time that he had resigned as a Director of the corporation. On October 15, 2010 the CRA raised Director’s Liability and issued a Notice of Assessment (NOA) to the taxpayer for unremitted income tax, employer contributions plus penalties and interest in the amount of $477,546.08. The Director then argued that he should not have been assessed as a Director because he resigned as Director of the corporation on July 20, 2006 by way of a Notice of Resignation which would have made the raising of the assessment statute barred. The CRA argued that the taxpayer was in fact a director and that the taxpayer had backdated the resignation to qualify for the exception, which happens more than you could imagine, and to counter this trick, the CRA often requests an “ink date test” to determine the authenticity of the Notice of Resignation. Unfortunately for the CRA, the results from the ink date test was excluded by the Tax Court because the CRA did not advise the Court that they felt the Notice of Resignation was back-dated. Even the judge felt the Notice of Resignation was backdated, however since the CRA failed to mention it, it was not open for review in the Court. In summation, Bekesinski avoided Director’s Liability for the corporate tax debts due to a litigation misstep on the part of the CRA, a mistake they are unlikely to be repeat. It is highly advisable for corporate directors to carefully document their resignations so as to avoid potential future Director’s Liability assessments, because I guarantee, the CRA will challenges to the authenticity of backdated resignations on each and every case going forward.